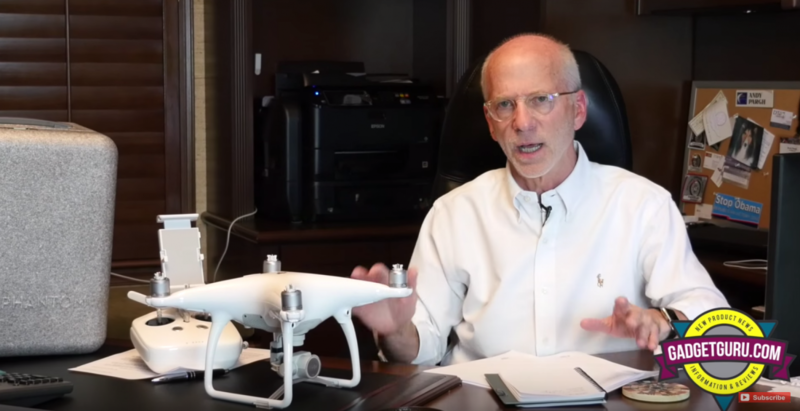 Just a few days ago, I was contacted by the head of DJI Global Public Relations and informed that a review I posted two months ago that highlighted my personal experiences with its Phantom 4 quad copter, may be inaccurate. Basically, they thought it best that I edit the video to correct content relating to my opinion about a potential gimbal malfunction. However, because I take this type of situation seriously, I placed my current projects on hold in order to openly and honestly address their concerns. I have spent the past few days reviewing the process and my findings to the best of my ability. I’ll add that journalistic principals dictate that in this type of situation, especially one that involves content displayed on social media, an effective solution is to provide a clarification. While this review was put to bed quite some time ago and since such a long time has passed since DJI was first made aware of this video, I’ll do my best to clarify the sequence of events that led me to provide the opinions contained in that video. I welcome legitimate comments. I’ll add that DJI graciously offered to send someone to my location to troubleshoot my Phantom 4 and later offered to provide a loaner so that I could do a fresh review. Sadly those aren’t workable options as I no longer own the P4 and its my practice to purchase the products I review. Also, I have a full plate at the moment and along with continuing my coverage of the motorhome industry, there’s two new drone models that I’m looking forward to reviewing as soon as time allows. Since my reviews take time, I prefer not to rush through them and give each product the time and attention it deserves. China based, DJI Corporate Public Relations contacted me via email and through a series of communications stated I inaccurately identified what appeared to be an unstable camera image issue and unfairly used on-screen graphics to state the gimbal was faulty. The question I will attempt to answer is: Was my opinion correct? The short answer is: Yes, No and Maybe. In my personal opinion, the setup experience was a nightmare and only shows me this product may have shipped a bit too early. I’ll stand behind the statements made in the initial portion of the video as it’s an accurate depiction on the hoops I jumped through to get this product ready to fly. Not everyone experienced the same setup issues, but at the time I was told by DJI Tech Support that others were experiencing similar situations. Nearly immediately upon getting it in the air, I noticed the Phantom 4 exhibited an unexpected drop in altitude the moment forward acceleration was eliminated and the sticks were moved to the hover position. Multiple instances of this issue were captured on camera and there’s no disputing my experience. At some point during the flight, I noticed the once stable on-screen video was appearing off kilter on the monitor. Considering the P4 was experiencing other operational issues at that point and understanding the gimbal is the device that’s responsible for the camera’s horizontal stability, my findings were not unusual. In all fairness, that conclusion may or may not have not been the root of the video issue and I’ll address this finding in detail in this clarification report. Since this unit was returned to Apple and a refund granted nearly six weeks ago, it’s impossible to tell if the gimbal, or if another factor, including myself, was at fault. I’ll add while DJI PR was made aware of my experience two months ago, if my concerns would have been addressed in a timely manner, the cause of this issue could have been identified. But there is another possible explanation to what occurred and to be fair to all parties, I’ll attempt to explain my opinion of what may have happened. Before we go further, allow me to state that I’m not a newbie to the copter world. To date I’ve owned a DJI Phantom FC-40, a DJI Phantom 2 Vision + (both yielded a positive user experience) and two Yuneec Q500 models. I’ve also flown a DJI Phantom 3 Professional, albeit as documented in two previous videos, this specific P3P was not delivering the same results as what others have reported. 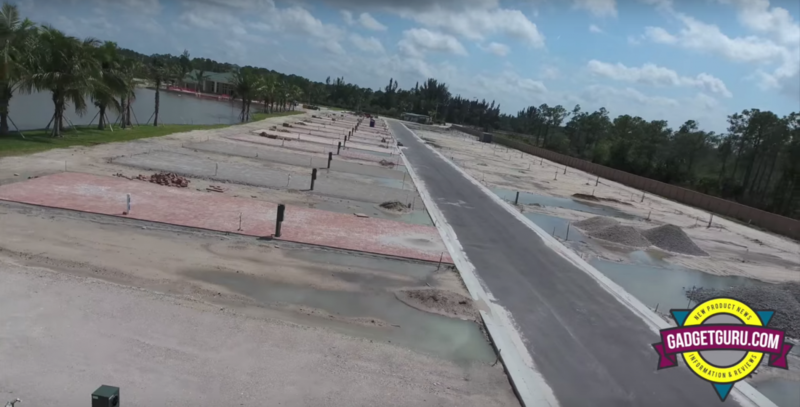 After the first video was captured and released and upon my urging, the P3P’s owner had the unit examined by a DJI Factory Authorized Service Center and it was given a clean bill of health before a second chance video was produced, albeit with similar results. One more point before we get too deep into the details is that I have been reviewing consumer products for nearly 30 years. Prior to that point I spent the early part of my career working for Texas Instruments, Panasonic and Uniden, so I’m no stranger to tech-oriented consumer products. To date, I’ve never been asked for a retraction, so as stated, I’m taking this inquiry seriously. After finally getting the P4 setup to be ready to fly, I set aside a day with the sole purpose of performing a simple camera comparison between the Phantom 4 and the Yuneec Q500 4K. Nothing fancy was planned for this day and just a comparison of the video quality generated by the two camera drones was on the schedule. The apps I use to advise of pre-flight conditions displayed it was an acceptable environment for flying. I obtained permission from the property owner to fly in a somewhat secluded and open area for this test. Of course both copters had the FAA registrations numbers affixed and I flew within FAA and common sense guidelines. It was my plan to fly both copters in a back-to-back fashion, capture video of the same scenes and then place them within my computer editing program to compare the captured video side-by-side. The Phantom 4 was up first and during the initial flight I noticed the P4 exhibited a sudden drop in altitude when the controller’s sticks were moved from a forward to a neutral position. I don’t recall if any other reviewers reported this issue or if it was a topic of conversation on the forums at that point. I will say its in-flight behavior came as a surprise to me as none of the other drones I’ve flown to date exhibited similar characteristics. While I was able to duplicate this unusual behavior, I could only “assume” that combined with the problems suffered during the setup process, that through luck of the draw, I had purchased a faulty unit. Yes, that happens. But since I was flying was an early production model and since only a few user reviews had been posted at that time, I had no idea how many other units were exhibiting similar symptoms. It’s important to note that while it’s been more than two months since the P4 originally shipped to consumers, based on a thread on the DJI Forum, it appears some users are still experiencing this issue and it’s my understanding that at the time of this post no fix to the affected users has been provided by DJI. This leads me to believe this issue could be hardware related and possible could be traced to a malfunctioning sensor. This is just an assumption based on current forum posts that some users are experiencing this same issue while others are not. But, before I could make any determination, I needed to evaluate if any outside elements may be causing this sudden drop. I say that as the first few times I noticed the unusual trait, the Phantom 4 was flying over water at an altitude somewhere around 100′. I’ll add that the on-screen reading displayed an altitude of much higher than it visually appeared. Yes, the thought that I simply was flying a unit that contained some sort of faulty component was starting to become apparent. To me, it was a fair assumption that somehow those readings could have somehow been caused by the new sensors and adversely affected by flight over water. After all it was a sunny day and water can cause reflections. I will state at that time, the camera was performing very well and I even complimented its ability to hold the horizon in a clear manner on the video. I also compared it to the Yuneec model and touted the P4’s video image and level horizon. Yes, the copter was acting strangely, but the clarity of the video as it appeared on my iPhone 6+ during flight and later on my computer was impressive. As in my other copter reviews, I keep a camera operating on a tripod in the background in order to document the experience and allow the video from the ground camera to become part of the final production. I thought it best to alter my flight path to fly over solid ground to test my theory if the water was causing this issue. So, I hovered the copter and then proceeded to re-aim my ground camera towards land. This position wasn’t as scenic as the water and palm tree background I was hoping to use in the video, but at that point this was my best option for a safe test. After I moved the camera I resumed flight and relocated the P4 to fly above the ground area, I noticed the video I previously admired had become somewhat unstable. Due to the other problems experienced and noted above, to me it was a fair assumption that somehow, since this behavior was not exhibited during the early portion of the flight, that possibly, due to battery or engine heat, the gimbal may have become adversely affected. 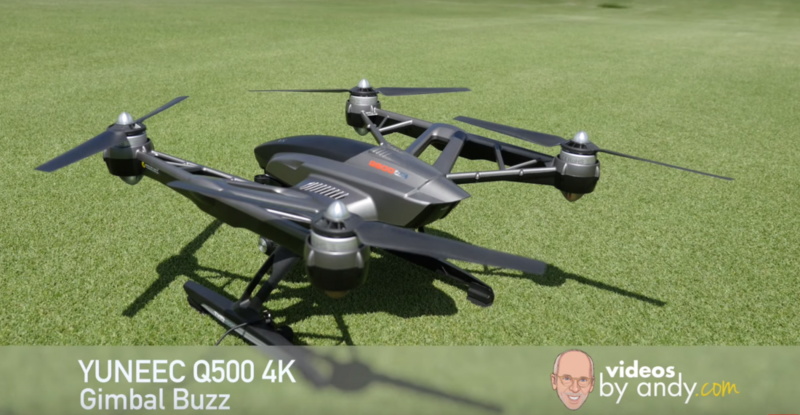 I make that statement based on a personal experience I had with an early model of Yuneec’s Q500 4K. It seemed while the camera on this unit would deliver smooth video during the first two batteries. But, when used for a longer period and going through multiple batteries, somewhere during the third battery, the gimbal would act erratically and generate a buzzing noise that adversely affected the quality of the video. In my opinion, generated heat may have been the culprit. In this case, I contacted Yuneec Tech Support seeking a solution and they not only replaced the gimbal and camera, they sent me a new copter. With the replacement copter, the same behavior was not present. While I didn’t notice a buzzing sound emanating from the P4, it was with this same thought, combined with the other flight characteristics, that I felt it was entirely possible this specific early production P4 was shipped with a number of flaws. Since so many components need to be orchestrated to sing in harmony to provide a smooth and safe flight, it was not out of line for me to point to the gimbal as an area of concern with this specific unit. And yes, once moved to the new location the P4 continued to act in an erratic manner and the altitude drop situation seemed to become a bit more pronounced over land. Possibly that was due to speed or other conditions and I honestly don’t have the answer to that question. Evidently, after two months, neither does DJI as there is a thread online that, two months after I experienced and posted this issue, it’s still affecting other users. While DJI is not disputing the sudden drop issues, nor the problems I had during setup, they are crying foul over my accusation of the gimbal acting up and causing the video image problems. While they didn’t provide the answer, some astute YouTube commenters pointed out that I was flying in FPV mode. That can’t be right as I was the one at the controls and other than taking it out of Beginner’s Mode, no changes were made to the copter. Allow me to note it’s my standard practice that when reviewing a product to conduct the test in the stock configuration. My reasoning is simply not to throw too many variables into the mix and to give the product the best chance as performing as promoted by the manufacturer. As those who follow my posts already know, I do not modify copters and only fly them stock and I stick to the basics. I fly conservatively and not a risk taker when it comes to drones. I’m not one to see how high it will fly or to push the boundaries beyond my line of sight. I simply enjoy flying while capturing smooth video. Hey, to each their own. It seems that what could have caused the image stability issue is that DJI may have shipped the units with one of the two of the controller’s bottom buttons defaulted to FPV mode. I have asked this question to DJI and have not received an answer as of this publication date. DJI is welcomed to respond to this post. Yes, there’s a comment section located below this story. The two buttons on the bottom of the controller include a very nice option to seasoned pilots as they allow the user to select from a designated list of commands and allow the user to somewhat tailor the usable functions of the remote. But I have to ask, who in their right minds at DJI would allow those bottom-mounted buttons to go out the door programmed with the FPV command? Considering FPV is for more advanced users and the simple fact those buttons could easily be changed in DJI’s GO app, wouldn’t it have been a better solution to have those buttons not be pre-designated as FPV and allow the advanced user to select them if that’s the mode they choose to fly? If this is the case, I can only wonder how many units have been returned to Apple or other resellers due to users not realizing their units were accidentally set to FPV when they were expecting a smooth video to be captured by the Phantom 4’s camera? So, while I’m my attempt to clarify what happened during this review and I’ll accept partial blame for my opinions regarding a gimbal issue. However, since it took DJI PR two months to get back to me and since the unit was returned to Apple for a refund just a couple of weeks after purchase, I cannot tell you for a fact that the issue was or was not related to a gimbal issue. Yes, it’s entirely possible, but possible and factual are two different things and that’s not an opinion it’s a fact. However, based on the comments from other users, it does appear that the controller accidentally could have, and without intention, entered FPV mode. So, what can be learned from this story? There’s a good chance I may have inadvertently activated the button on the bottom of the controller causing the copter to enter FPV mode. If that’s the case, it’s my opinion that DJI should have known better than to send the units out with these programmable buttons in a pre-programmed mode. This is not DJI’s first rodeo in the copter world and they should know better. Being the world leader, users should expect more from DJI. Some users are still experiencing the sudden drop issues and it seems that DJI is being silent on what’s causing this somewhat random problem. To date I have not been provided with the answers as to why some users are experiencing this issue and why some are not. I’ll provide my opinion and can only guess the issue could be caused by one of the sensors as that could be the best explanation as to why some who are using the same firmware as others are still experiencing the sudden drop issues while others are not. Yes, at least in my experience, as compared to other copters on the market, the setup process of the Phantom 4 was a bear. With the other issues I experienced with the Phantom 4 and with the “dropping” issue seemingly unsolved at this point, I do not regret returning this unit and receiving a refund. Does this mean that I received a bad unit? Quite possibly. Does this mean I will never fly another DJI drone? Absolutely not. I have great respect for the innovations DJI has created to date. If it wasn’t for the purchase of my first copter, a DJI Phantom FC-40, I may not have taken the first step into the world of consumer camera drones. I can only hope that in the future DJI strives to raise the bar for product quality so that all users, even those who purchase newly offered models, will enjoy a safe, smooth and consistent flying experience. It is my hope, this clarification will assist others in the future. The concept of providing a clarification for a story that has already been published calls for the publishing of the link in the same areas where the original story first appeared. So, that’s why a link to this story is being placed on the original story on GadgetGuru.com, VideosByAndy.com, on the YouTube page that hosts the original video and on my Facebook pages where the original story appeared. I’ve also given this story it’s own position on GadgetGuru.com and VideosByAndy.com. I’ve sent a link to this story to the Moderators of the Facebook pages where this first appeared and allow them to use their judgment whether or not to post this story.